Theresa May plans to confront the five ministers who are planning try and push her to fight for a better deal and add a clear way for the UK to leave a customs union with the European Union (EU), the Telegraph reports. Andrea Leadsom, the Commons leader, is expected to meet this Monday with the last Brexiteers left in the cabinet: environment secretary Michael Gove, trade secretary Liam Fox, transport minister Chris Grayling, and Penny Mordaunt, the women and equalities minister. The group believes there is still time to negotiate alterations, such as changing the “backstop” arrangement over Northern Ireland, which the current deal says will form the basis of the future relationship, possibly locking the UK to EU rules in the long term. Over the weekend, Mrs May faced down calls to stand down, insisting that there was not enough time for a change of Prime Minister. “A change of leadership at this point isn’t going to make the negotiations any easier and it isn’t going to change the parliamentary arithmetic,” she told Sophy Ridge on Sunday on Sky News. Meanwhile, members of the pro-Brexit European Research Group (ERG) of backbench Tory MPs have released their response to the proposed withdrawal agreement, claiming it would leave Britain “half in and half out” of the EU. The ERG, which is led by leading Tory Brexiteer Jacob-Rees Mogg, have indicated they are confident they will have enough support to trigger a vote of no confidence in Mrs May early this week. So far 25 of the required 48 Tory MPs have publicly submitted letters to the chairman of the backbench 1922 Committee stating that they have no confidence in the prime minister. 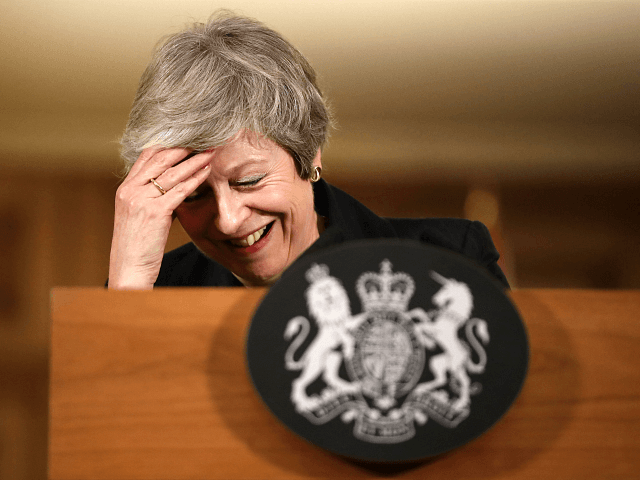 However, at least 42 Tory MPs have given “firm assurances” that they have submitted letters of no confidence in the PM, according to a report in the Sun.